BreakThru Radio (BTR), the Internet's source for the World's Best Independent Music, announced today that it will air a brand new specialty show from DJ Annie Russell, "The Mixtape Show". This trendy new show is a particularly special treat for BTR listeners, as each installment focuses on a specific theme that relates to a different aspect of the everyday life. "The Mixtape Show" is the latest installment in the station's successful series of specialty shows. There's just something special about a unique mix of songs made for a specific person, mood, or event. While all shows on BTR are mixtape shows to a certain degree, I wanted to create something that followed a unique theme for each show. BreakThru Radio (BTR), the Internet's source for the World's Best Independent Music, announced today that it will air a brand new specialty show from DJ Annie Russell, "The Mixtape Show". This trendy new show is a particularly special treat for BTR listeners, as each installment focuses on a specific theme that relates to a different aspect of the everyday life. "The Mixtape Show" is the latest installment in the station's successful series of specialty shows. This exciting new playlist can be found only on http://www.breakthruradio.com. The goal of DJ Annie's debut show is to connect with listeners by tapping into some aspect of their everyday lives and creating a specific set of music for it. Each new edition of "The Mixtape Show" brings listeners a diverse compilation of songs aimed to provide music for studying, breakups, rainy days, etc. The truly unique part of this specialty show is that DJ Annie will be taking suggestions for new mixtape themes from BTR listeners via email. A new edition of "The Mixtape Show" will continue to air biweekly on the station. "Music fans have always made mixtapes," explains DJ Annie, who was inspired to create the show after listening to all of the great new music that crosses her desk daily as BTR's Music Director. "There's just something special about a unique mix of songs made for a specific person, mood, or event. While all shows on BTR are mixtape shows to a certain degree, I wanted to create something that followed a unique theme for each show." With the addition of "The Mixtape Show," BTR further fulfills its goal of offering listeners complete on-demand, free programming that caters to whatever music niche in which their taste lies. Other BTR specialty shows include a folk show, a blues show, a heavy metal show, a dance music show and a hip-hop show. 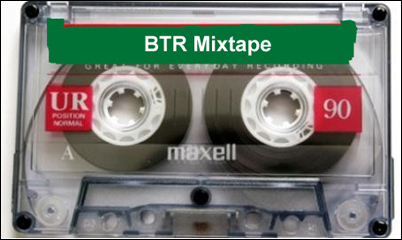 "The Mixtape Show" will premiere on BTR today and will be available in the station's archive and program guide, along with all of BTR's previous specialty programs. Listeners can tune in to hear DJ Annie's latest mixtape theme by visiting http://www.breakthruradio.com. Using the cutting edge technology of UpSNAP, BreakThru Radio makes all of its shows more accessible to an on-the-go market of students and young professionals, via exclusive access to its on-demand programming through the medium of mobile phones. BreakThru Radio services are available through virtually all of the major carrier networks in the U.S., including Nextel/Sprint, Cingular, Verizon, AT&T, Alltel and T-Mobile.